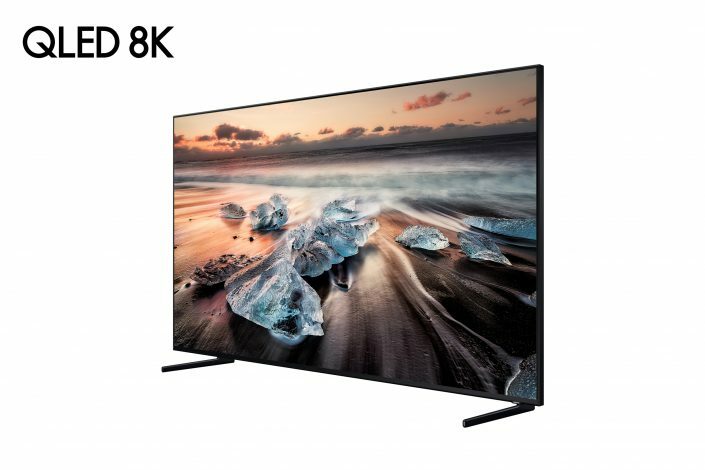 During its press conference at IFA 2018, Samsung is to announce its foray into 8K with the unveiling of the Q900R QLED 8K complete with 8K AI Upscaling. 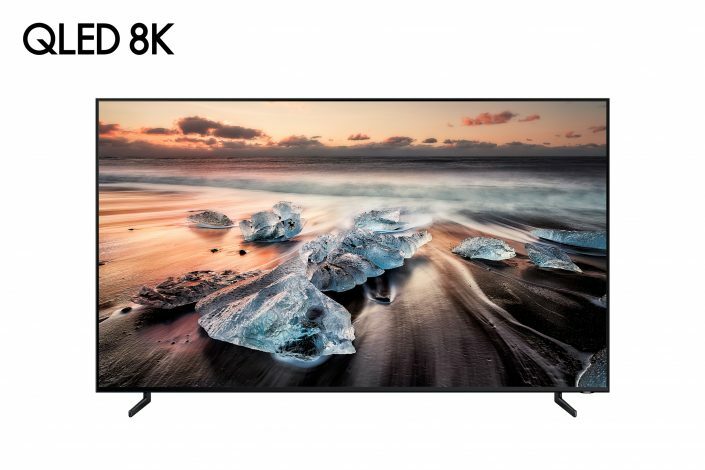 Available in four ultra-large screen sizes (65”, 75”, 82” and 85”), Samsung QLED 8K TV will feature several 8K-ready enhancements, including Real 8K Resolution, Q HDR 8K and Quantum Processor 8K, all created to bring 8K-quality images to life. The new Samsung QLED 8K will be available in the UK from Mid-October. To achieve 8K-quality images, the Samsung Q900R features Real 8K Resolutioncapable of up to 4,000 nit peak brightness – a standard met by most film studios. This feature allows TV to produce four times more pixels than a 4K UHD TV and 16 times more pixels than a full HD TV. Q HDR 8K powered by HDR (High Dynamic Range) 10+ technology which optimises the TV’s brightness levels and produces pristine colours and images is also incorporated to deliver pictures as intended by creators. Samsung’s proprietary 8K AI Upscaling technology based on artificial intelligence also comes equipped with picture and sound quality to a level compatible with 8K regardless of the original source quality or format. Whether a user is watching content through a streaming service, set-top box, HDMI, USB or even mobile mirroring, the Quantum Processor 8K recognises and upscales the content to appear in 8K quality. In addition, the Q900R features Direct Full Array Elite for enhanced contrast and precise backlighting control, and also 100% Colour Volume, enabling users to witness billions of shades of colour for the purest colour accuracy to-date. Focusing on user efficiency, the Q900R features a slate of new functions that enable consumers to use their TVs differently while maintaining the highest quality in picture and sound. For example, the TV recognises and analyses a number of connected entertainment devices like audio devices connected via optical cable with One Remote, then auto switches the TV’s image source and audio output for an optimised viewing experience. Lifestyle features, such as Ambient Mode, have been enhanced to seamlessly blend the TV in the surrounding space by showcasing beautiful images, weather, news and more on the screen. The One Near Invisible Cable, which comes standard at 5 meters, incorporates the optical cable and power in one seamless cord, giving users more freedom to decide where and how they place the TV. Smart enhancements, such as SmartThings, further add to the Q900R’s ability to provide users with greater access to information and make their lives easier, and the Universal Guide provides personalised recommendations to easily find live and OTT content on TV.